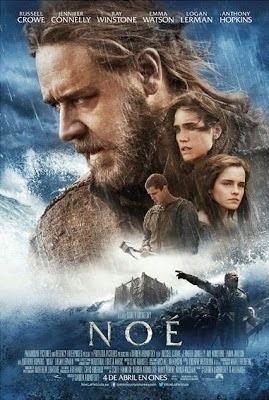 Reparto: Russell Crowe, Emma Watson, Logan Lerman, Jennifer Connelly, Anthony Hopkins, Douglas Booth, Dakota Goyo, Kevin Durand, Marton Csokas, Ray Winstone, Madison Davenport, Sami Gayle, Barry Sloane, Mark Margolis, Don Harvey. Guión: Darren Aronofsky y John Logan. Producción: Darren Aronofsky, Scott Franklin y Mary Parent. Productoras: Disruption Entertainment, New Regency Pictures y Protozoa Pictures.